which significantly reduced his business’s energy usage. LOS ANGELES (April 24, 2018) – How did the owner of a West Los Angeles cleaning business reduce his electricity bill by 30 to 40 percent without spending a dime? Simple—he let the Los Angeles Department of Water and Power (LADWP) do the work for him. Nearly 21,000 businesses have benefitted from free energy and water efficiency upgrades since 2012 thanks to LADWP’s Commercial Direct Install (CDI) program. 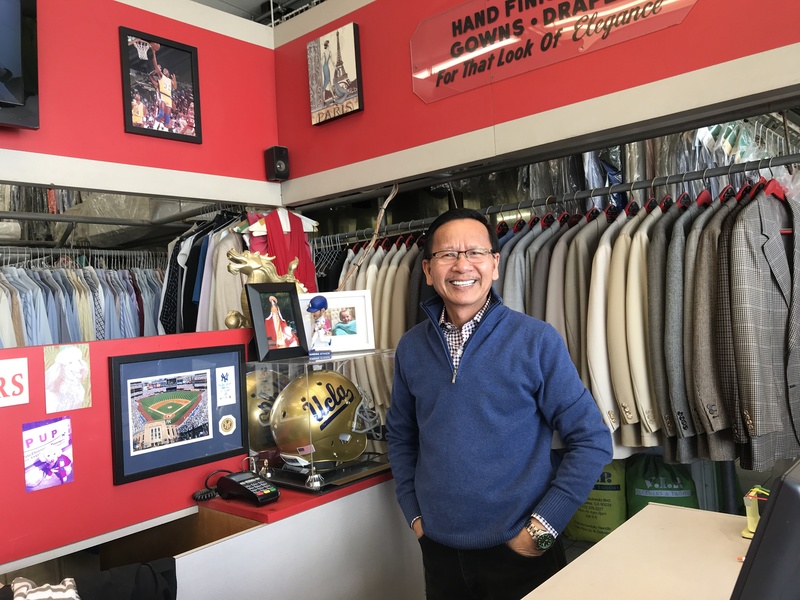 Located throughout Los Angeles, these customers include mom and pop grocery stores, retail shops, mid-size businesses, warehouses, charter schools, churches, and apartment complexes. The amount of energy savings being achieved is estimated at over 237.7 gigawatt-hours per year—equivalent to removing about 39,600 homes from the grid or reducing greenhouse gas emissions by about 89,960 metric tons per year. The CDI Program is available to any business or other non-residential customers whose average monthly electrical demand is 250 kilowatts (kW) or less. Some of the energy and water saving upgrades available include energy efficient lighting systems, LED exit signs, low-flow water devices, pre-rinse spray valves and other measures. The program was first introduced by LADWP as the Small Business Direct Install (SBDI) Program for businesses with an average electricity demand of 30 kW or less. It was relaunched in 2012 to encompass small businesses and non-residential customers, such as churches, schools, neighborhood markets, retail shops and small multi-family residential housing. In 2016, LADWP began offering the program for mid-size and larger businesses and other non-residential customers using up to 200 kW. In January, LADWP raised the qualifications to non-residential customers using 250 kW per month to further increase energy and water savings throughout the city. The program is one of LADWP’s key strategies for transitioning to 100 percent clean energy and meeting city and state goals and mandates for reducing greenhouse gas emissions. LADWP’s energy efficiency goal is to reduce energy use by 15 percent from 2017 through 2027. That represents a cumulative energy savings of nearly 26 percent since 2010.